Back after a 4 year hiatus, follow-up from the Necrocracy (2013), Exhumed seems to be a little stronger and more brutal than their predecessor. But! Not as convincing as their All Guts, No Glory (2011). However, this one takes a seat in the middle of the scale, in my opinion, for liked Exhumed records. A different sort of production and now that they're on Relapse, that may explain a certain "dryness" in the making or sound to this one. What I mean by that is that it's a little bit flat in tone, especially the drums. They're sticking with some staple members though, that being Matt on guitars/vocals, Ross Sewage vocals/bass, Bud Burke guitars/vocals, and Mike Hamilton who joined the band on drums back in 2011. Exhumed form when there was a huge death metal scene in the 90's especially in Tampa (Death, Obituary, et al), though their origin is in San Jose, California. If I'm to understand correctly Matt Harvey has been frontman and with the band for the longest period of time. In one interview, he's said to have started way back when he was a teenager with the guitar and wow the lineup changes over the years. That must've been hard to pull off, especially on live performances teaching fill-in members, but they did it. Let's hope it continues in direction of death/grind in the vein of Dying Fetus and Archspire, just not AS technical as those bands. I still would have to say that the gut and locked in sounds of All Guts, No Glory (2011) remain to be my favorite. However, Death Revenge is one piece of work. If only a few things that I pointed out were remedied (production/mixing) then I would've given this a higher rating. But it is what it is here and I'm sure that fans were pleased with the new one over the previous one. Necrocracy was a bit too melodic for this band, their roots lie in the death/grind sort of arena. Some cool tracks to check out are "Defenders of the Grave", "Unspeakable", "A Funeral Party", and the title track. Their all good though, despite my axing of the production sound. It may just be something to get used to for me. The leads by both by Matt and Bud were supreme and the music is what glorifies the release. It's definitely one to look into. Check out those songs but do your best if you like it enough and purchase the record. 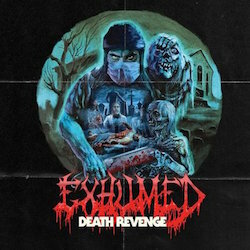 Exhumed’s new album brings a nasty display of death metal to the table. It sounds like mid period Carcass at it’s most poignant and outstanding. Whether this album can match Necroticism is definitely a difficult task, but this is one of the closest attempts at mimicking the sound of that album that I’ve found recently. Though this often leans closer to Heartwork, I feel this album has best distilled the sound of the earlier, more classic album into it’s framework better than any other album to this point. This was thus a very exciting listen and one that made a huge impact on me as a listener. The songs have a visceral feel that is unlike anything else on the market at this point in time. There is a degree of fun to be had performing this type of music and it seems like Exhumed are having a blast. They don’t beat the best of Carcass, but they seem to be having as much enjoyment as that band has had at any point in time. It all leads up to a death metal release that is one of the very best of the year. It rivals the likes of Immolation and Hour of Penance. While it doesn’t surpass those albums, it is nice to have another candidate for best death metal album of the year that can be mentioned in the same breath as those releases. The performances are all top notch. The guitars buzz along at a nice frequency and make the songs more enjoyable. Drumming is upbeat and catchy. Also, the vocal performance is appropriate for the style of music being performed and adds to the release. Is there anything that could have been improved upon here? 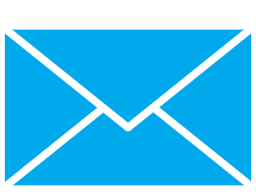 Yes, it could have further emulated Necroticism and added to the progressiveness aspect of the release. Still, Death Revenge is one of the more fun death metal releases of the year and one that fans of the genre should definitely check out.